Big things are expected of Nick Pivetta this season, so tonight he'll look to get on track as he and the Phillies open a three-game set at Citizens Bank Park against the Minnesota Twins. Pivetta struggled in his first start of the season last week, surrendering four runs on eight hits over 4 2/3 innings in a win over Atlanta. 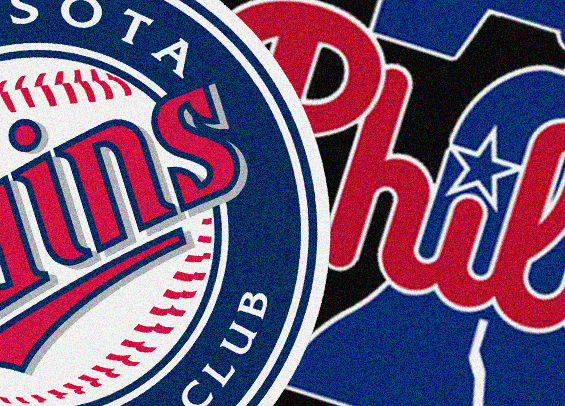 The Twins come to Philadelphia having won three straight and four of their first five contests. The Phillies, meanwhile, are coming off a walk-off loss in Washington after having won four straight to open a season for the first time since 1915. Jake Odorizzi will be on the bump Friday for the Twins. He looked outstanding in his season debut on Saturday, tying a career-high with 11 strikeouts while surrendering one hit over six innings in a win over the Indians. The Twins are playing the Phillies for the 19th time in their history and the first time since 2016 when they took a three-game series at Target Field. Minnesota is 10-8 all-time against Philadelphia. Roman Quinn went 1-for-3 with a double on Thursday in his first game of a rehab assignment with Clearwater. If all goes well, he'll rejoin the club in mid-April. The Phillies could potentially be in a roster squeeze situation though when he's ready, meaning the club will likely have to decide on carrying one less bullpen arm or bumping Aaron Altherr from the 25-man roster.